Food, Wine, and Miles: It's Credit Card Time Again! It's Credit Card Time Again! For the longest time, I had just one credit card - the Starwood Preferred Guest Amex. I love this card, mostly because I love Starwood, and I couldn't imagine wanting to earn anything but SPG points for every dollar I was spending on a daily basis. A little over a year ago, I was debating the merits of the Starwood card vs. other cards out on the market with a friend of mine. He was thinking about signing up for the Continental OnePass Plus card, which was offering 50,000 OnePass miles after first purchase. I decided that I needed to have a non-Amex card, for those places that don't accept it, and the sign-up bonus sounded great (50,000 miles for a single purchase!). As I started to research different options, I came across The Frugal Travel Guy blog, and a number of other blogs written by seasoned frequent-flying miles-mavens (see the list I keep down the right side of the page). I'd been eager and enthusiastic about "points" for some time, but I'd stumbled onto the mother load. The tips, tricks, and hacks I found on these blogs and on FlyerTalk were beyond my wildest imagination. I was (even more) hooked! Now - I realize that applying for so many credit cards probably makes most people anxious, but the reality is that each application has a negligible impact on your credit score. We monitor our credit very closely, and have seen minimal impact, despite a pretty hefty number of applications. Rick ("The Frugal Travel Guy")'s primer on credit cards and sign-up bonuses is what gave me the confidence to dip my toe in the water, and I haven't looked back since. The sites I like to use to monitor my credit (all free) are CreditKarma.com, CreditSesame.com, and of course AnnualCreditReport.com. I look to apply for a few new credit cards every few months or so (minimum of 90 days between applications, unless something big is out there). My last applications were in mid-March, so I was actually a little overdue. However, as noted in this thread on Flyertalk, there's a much better offer available that requires a little finagling with the BA website. It also yields 50,000 miles after first purchase, but the 2nd 50,000 comes after your first purchase after your 1st anniversary of card membership (though the annual fee isn't waived). No $20,000 in total spend required to get your 100,000 Avios. This is the offer I went with. Million Mile Secrets has a great series on getting value out of British Airways Avios, and I think they're a really useful compliment to other programs - providing maximum value on some routes where other miles offer a poor value. 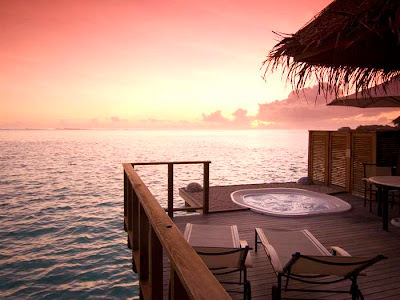 The annual fee isn't waived, so that means $79 x 2 = $158 for the two cards, but since I have a Hilton Amex, 140,000 Hilton points is only 5,000 short of a 4-night stay at a Category-7 hotel like the Hilton Bora Bora Nui or the Conrad Maldives Rangali Island! 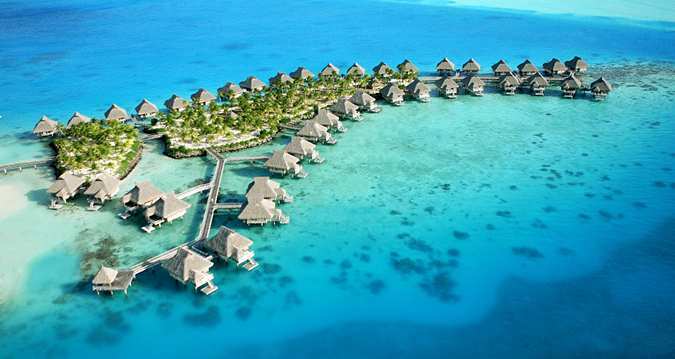 I know people on-line who have stayed at the Bora Bora site. It is HIGHLY recommended.